So I started making parsnip fries back when I did my first 21 day Clean Program Cleanse. I had no idea what a parsnip was (literally had to ask the guy at Whole Foods to find it for me), but wanted to introduce myself to new, healthier food options. Parnsips are higher in vitamins and fiber and lower in calories and carbs that regular potatoes and even sweet potatoes. They have milder taste in my opinion, but that’s where the seasonings come in. I love this rosemary garlic combo! They are just as easy to make as any other roasted veggie, so I am going to try and incorporate them more into my weekly cooking. wash your parsnips and pat dry. 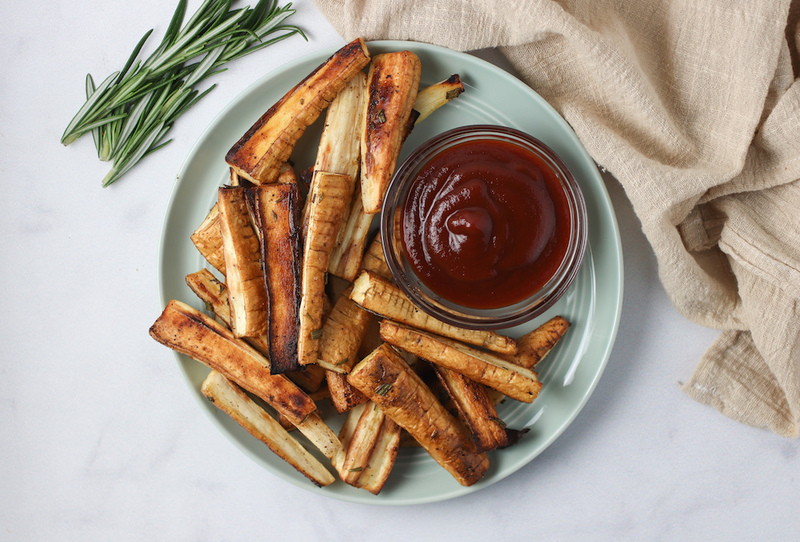 cut each parsnip it to fry or "wedge" shapes. any shape is fine, just try and make sure they are all roughly the same. 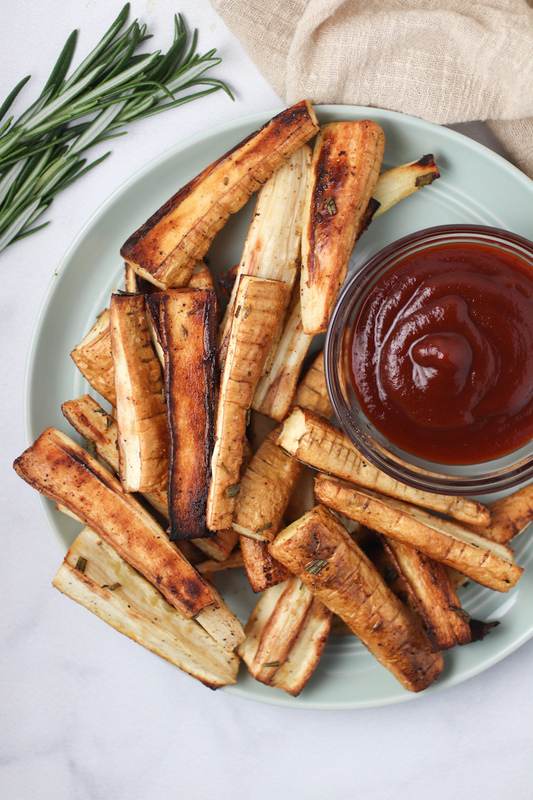 toss the parsnips in a drizzle of olive oil, sea salt, pepper, garlic powder and minced rosemary. I don't measure! it depends on the size and how many parsnips you have, just make sure they are evenly coated. 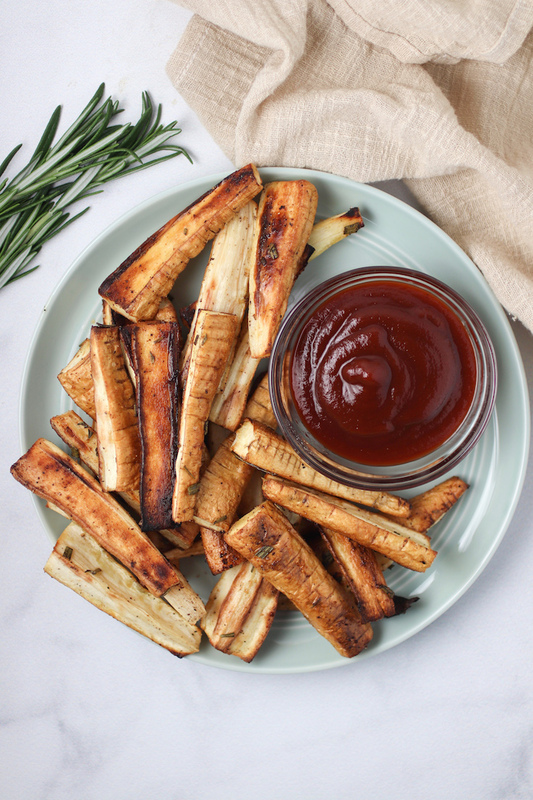 spread the fries onto a baking sheet lined with parchment paper. make sure they are in an even layer and not overlapping. bake for 20 minutes, gently toss with a spatula and then bake for another 10-15 minutes until crispy and slightly browned.